You get the durability that Zebra is famous for — the MC40 simply works, even if your employees drop it, bump it, use it in a dusty backroom or splash liquid on it. And Gorilla Glass improves the durability of three of the most vulnerable features — touch panel cover glass, scanner and camera exit windows. The integrated magnetic stripe reader allows associates to scan a credit, gift or loyalty card. And with an encrypted head, information is never visible, helping meet PCI regulations. The high-resolution 8 MP camera allows associates to easily document the condition of an incoming shipment, a planogram, promotion compliance and more with the quick press of a button. When it comes to keeping your store at its best, the MC40 helps associates complete price audits, markups and markdowns, replenish store shelves and more, faster than ever. 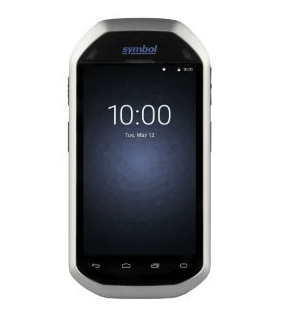 With Bluetooth Smart, you get the real-time locationing visibility you need to maximize workforce productivity. And while the MC40 offers the cool consumer look you want for your customers on the outside, you get the durability, data security and centralized management you need to achieve a true enterprise-class lifecycle — and low total cost of ownership.